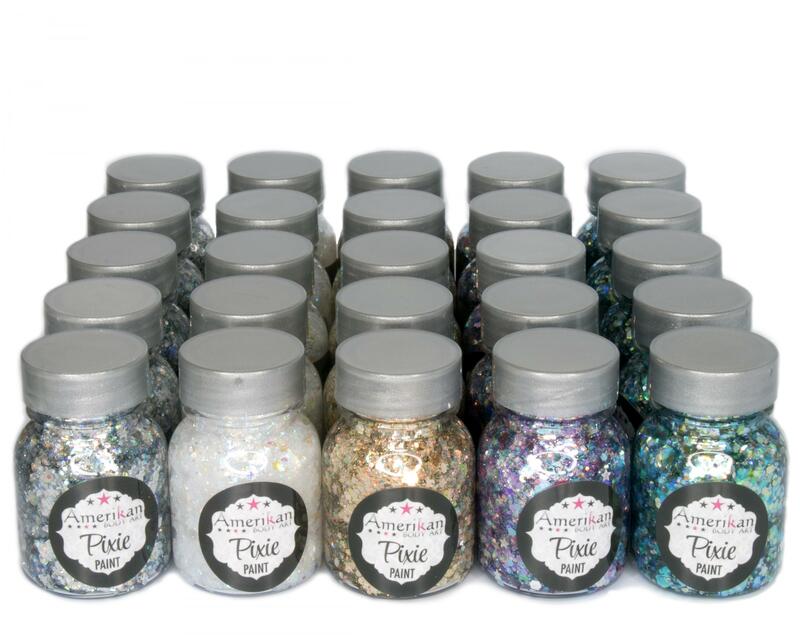 This pack is for customers who are interested in retailing our Pixie Paint, but aren't quite ready to meet the minimum purchase requirements to shop on our wholesale website. Choose 5 colors, and receive (5 ) 1oz jars of each of those colors. Providing a tester for your customers or doing demonstrations is the most effective way to market this product. Our silicone testing applicator wands can be sanitized and reused. Depending on your customer base, retail pricing should range from $7 - $15 each. You can create a higher-end gift item for your customers, by packaging the Pixie Paint in a small gift bag with an applicator wand.